It may not look like that much of a magic wand, but this Press & Sweep Oil Brush will spell a cast over your cooking. This oil brush comes with a little bottle attached to it so you can dispense the oil. It has a valve that when you squeeze the bottle, little amount of oil comes out. How convenient, right? You can get a lot of benefits from this Press & Sweep Oil Brush, not just for cooking but you can use this for baking, grilling and basically anything you can think of using it with. 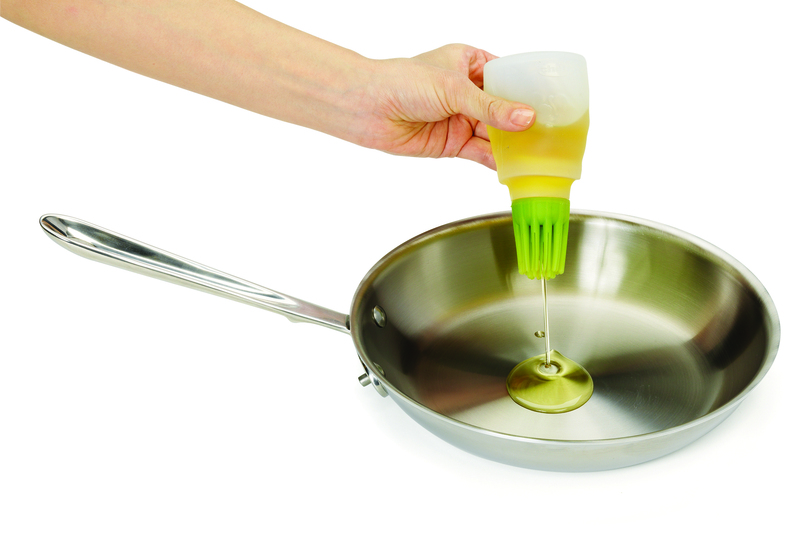 Live a healthy life with a better taste of the food you take with this Press & Sweep oil brush. 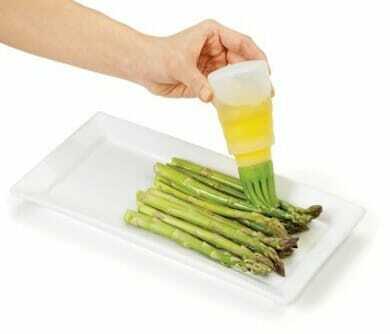 Fill the bottle with oil, sauces or anything that will help your food taste the better! By using this Press & Sweep oil brush, you are in control of how much you want and that is Tasty and Healthy Eating! The different colors brush will help you keep track of which sauce is in which bottle. The silicone surface is great for holding. Heat resistant brushes, perfect for camping, grilling, outdoor barbecues and more!